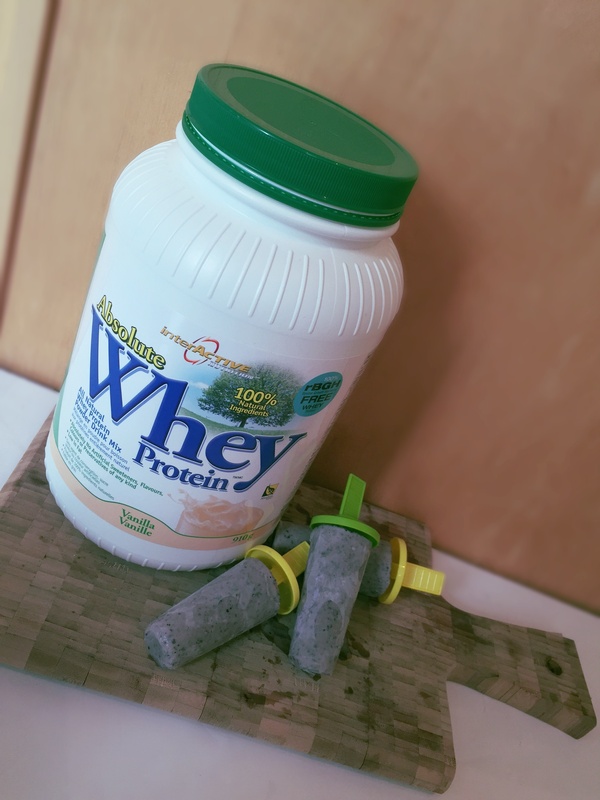 Jackson and I love summer and with the heat in full effect in Toronto , what better way to cool down than with a delicious homemade ‘Bluebanna Coconut Protein Popsicle’ powered by Interactive Nutrition New Zealand Whey Protein Powder. These cool treats are less than 100 calories per Popsicle and they are packed with healthy fats, antioxidants. fibre and sustaining protein to keep you hydrated and energized for an active ‘Strong Mommy‘ and Family day in the sun. Jackson tried a few licks (only a few) and he absolutely loved it. I felt super guilty afterwards because I’ve only introduced him to a few solid foods like, sweet potato, rice cereal and avocado. However, I know the ingredients are pure and it was only about 4 licks…but oh boy was he super mad when I took it away. At least I know that they are ‘kid approved’.